Arugula is a peppery green and is a member of the mustard family. Arugula is very low in calories and is high in vitamins A and C. A 1/2 cup serving is two calories. Keep arugula refrigerated (32-36°F), stored in a perforated plastic bag, away from fruits to avoid deterioration. It is also known as rocket, roquette, rugula and rucola. 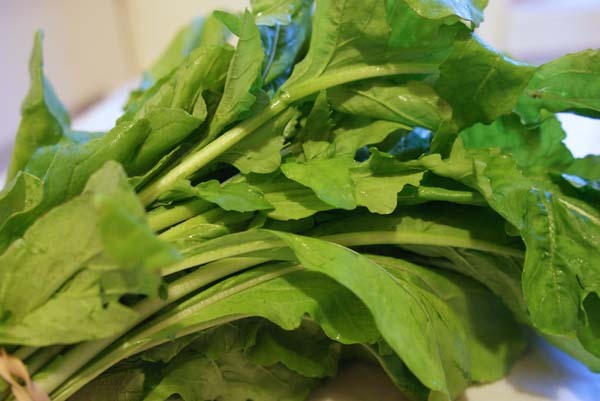 In Roman times Arugula was grown for both it’s leaves and the seed. The seed was used for flavoring oils. Arugula seed has been used as an ingredient in aphrodisiac concoctions dating back to the first century, AD. (Cambridge World History of Food). The leaves are mostly eaten raw in salads, although sometimes gently cooked or pureed in sauces and pestos.